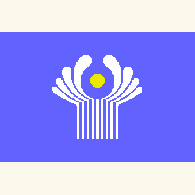 The CIS member-countries (Commonwealth of Independent States) offered 28 November for the new date of conducting CIS Summit in Minsk. The CIS states have been forwarded letters with the proposal to hold the meeting of the Council of CIS State Heads on 28 November in the capital of Belarus, the correspondent of ITAR-TASS was told in the CIS Executive Committee in Minsk. It was stated in the Executive Committee that the place of the summit has been defined in accordance with the decision of the Council of State Heads. Yet we have no information regarding changing the place of the summit. If other place is offered, then the new option will also be agreed upon with countries, the same source told. Initially the summit had been planned to be held on October 17 in Minsk, but it was transferred to the end of November. Till recent period, it was considered that Minsk will remain the place of the summit. However, according to disseminated information, other variant to hold the jubilee summit in Astana is not excluded.